Provided a complete new 138kV XLPE cable system for the Franklin Project. The work included all necessary engineering design, procurement of materials and equipment, fabrication, delivery, erection, installation, testing and pre-commissioning of the 138kV XLPE cable. 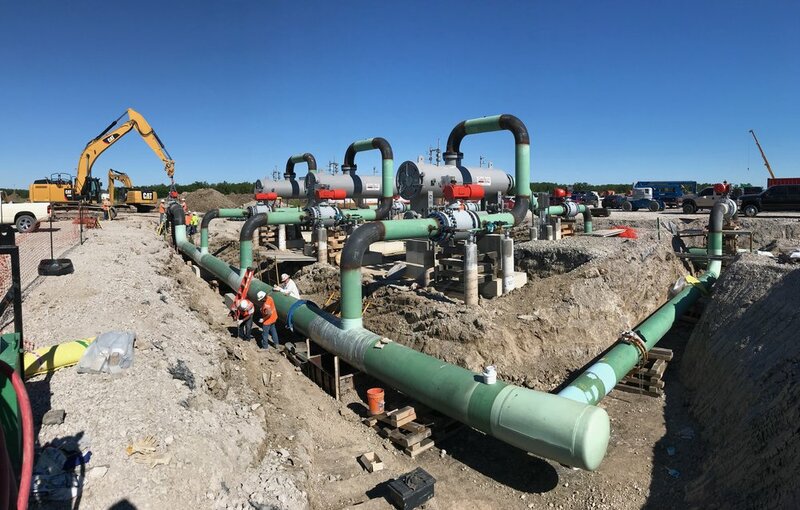 Electrical installation of this ethane cracking facility that included site wide 5kV temporary power distribution including 60 pad-mounted transformer and power distribution panels, site lighting of eighty 100' high mast light poles and the CCTV camera system for site wide coverage of over 10 miles of fence line. Complete electrical installation of a new aluminum extrusion facility. This included all underground and aboveground conduit, cable tray system, bag house, cooling towers, MCC rooms, caster, lighting, power distribution, grounding the the electrical hook-up for the aluminum chip dryer. VEC was also responsible for the installation of the network wiring and infrastructure, security and telephone systems and the fire alarm system. Aboveground electrical, low voltage wiring addition and compressor building gas monitor addition at a chemical processing facility. Electrical installation to replace the existing fire alarm system at the GM Lordstown West Plant. The scope of work included horn and strobes, speakers, pull stations, duct detectors, smoke detectors, conduit and cabling. Electrical installation of a new pipe manufacturing facility. The project included six major areas: heat treat line, quality assurance line, high speed straightener, bundling and threading lines and general areas for shipping and storage. VEC installed temporary power for the one million square foot facility, medium voltage duct bank, over 750,000' of underground concrete-embedded conduit, cable tray systems, electrical transformers and switchgear, PLC and remote I/O cabinets, complete network, CCTV, wireless access points and structured cabling. Electrical installation for two three-generator natural gas supplied power plants. 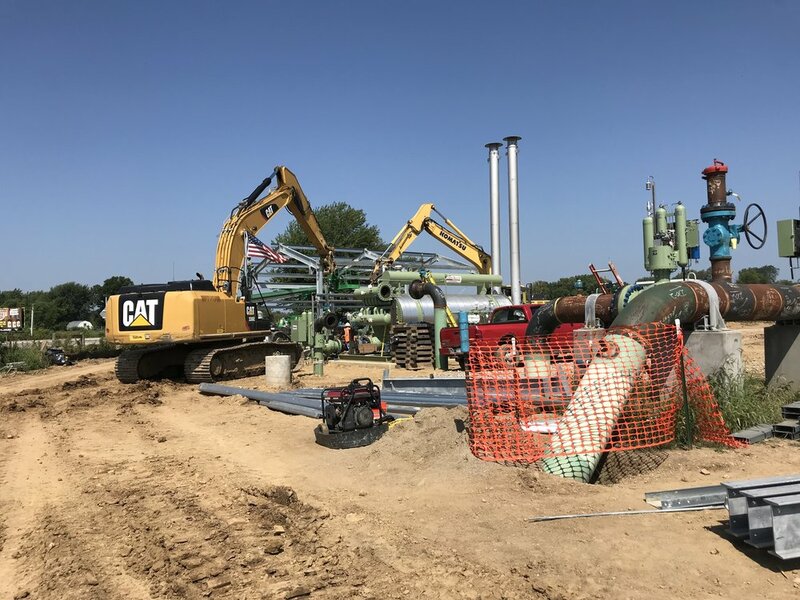 This included, hook-ups to the three natural gas fired reciprocating generators, switchgear, MCC, panel boards, lighting, underground conduit, aboveground conduit and all wire pulling and terminations.